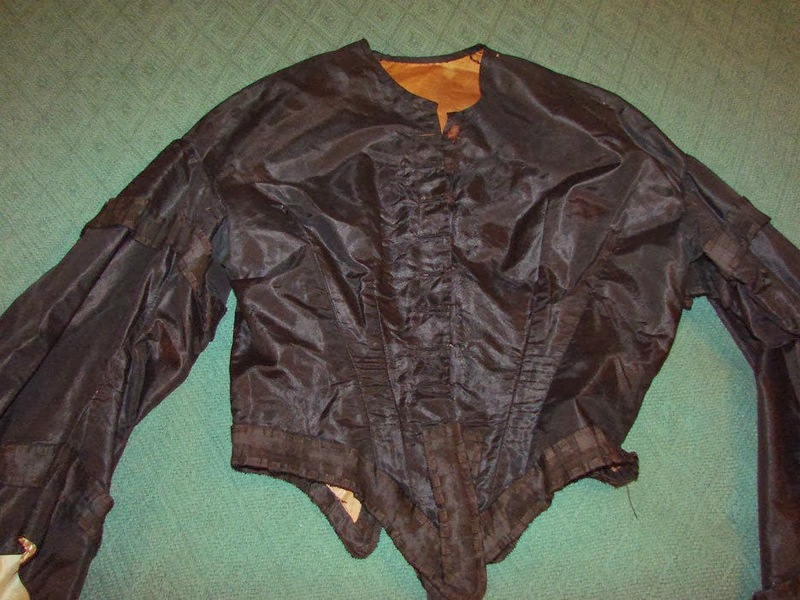 Victorian black silk waist. Extra small. 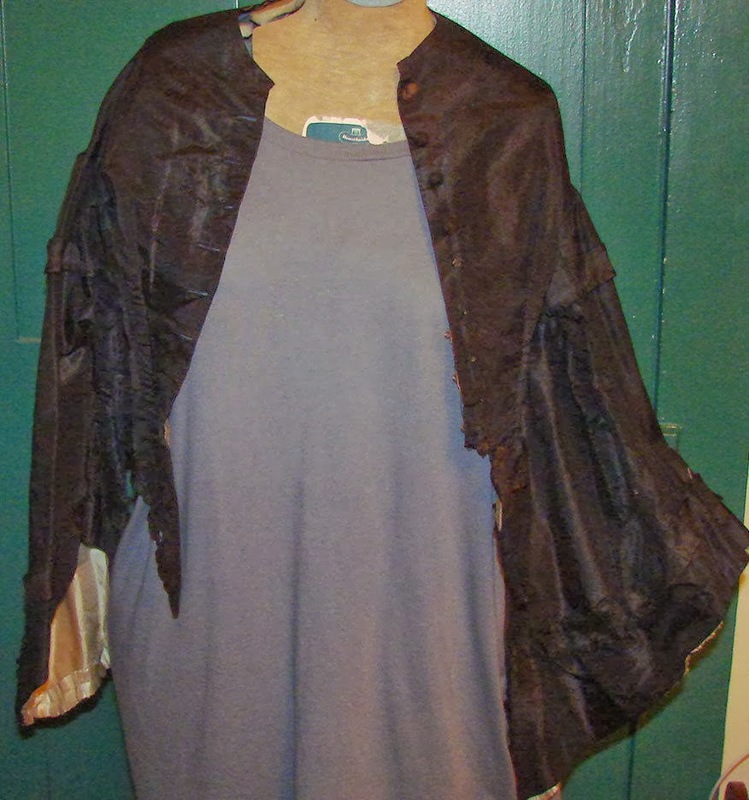 Measures 18 3/4" from top of neck to back of hem. 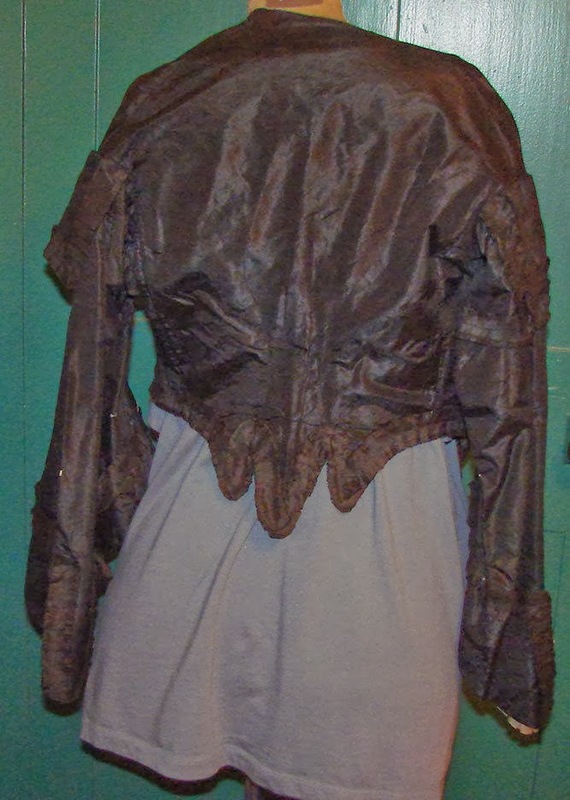 Waist about 24", bust about 28". Underarm to sleeve edge: 12". 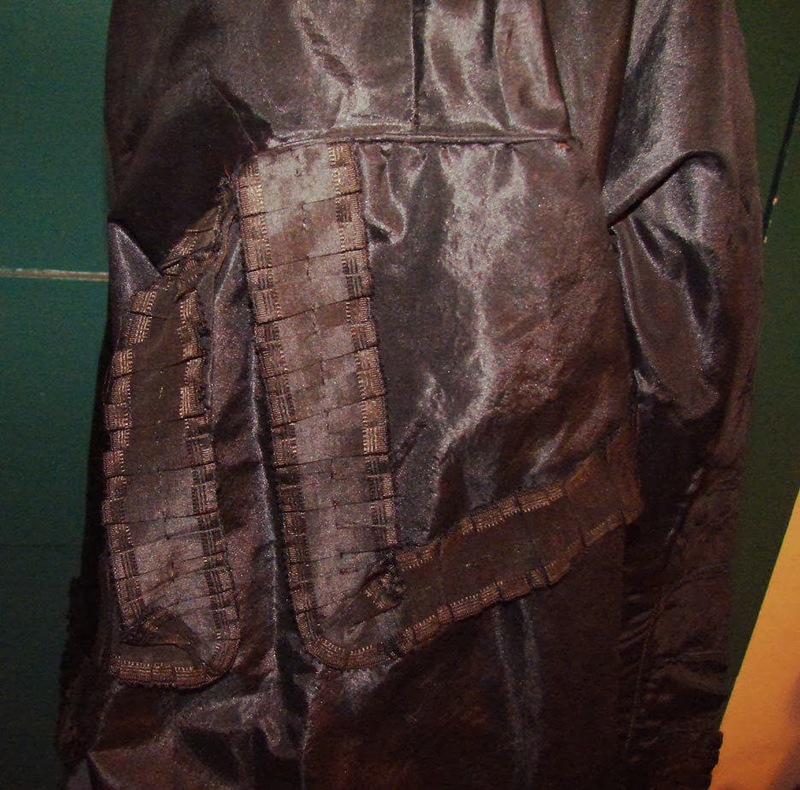 Outer sleeve measures 22" and the bottom sleeve opening is 30". 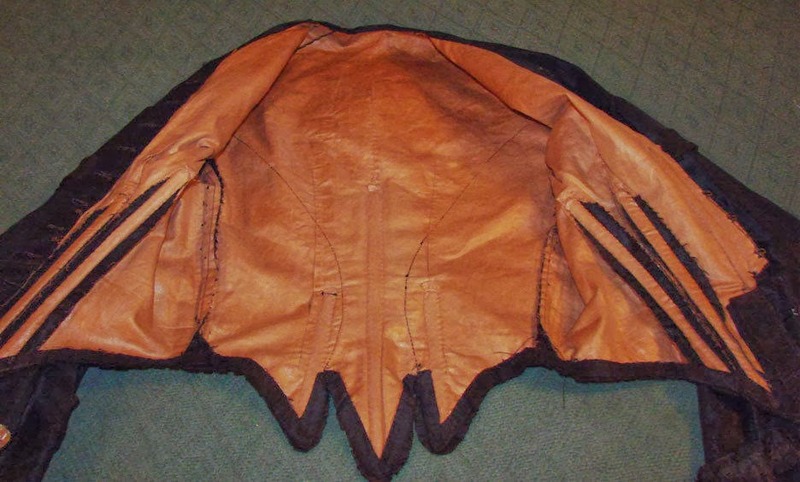 Condition is very good with about 5 tiny holes in the silk and some buttons missing. I *think* this is another 1850's restyled in the 1860's. The trim was definitely added later. 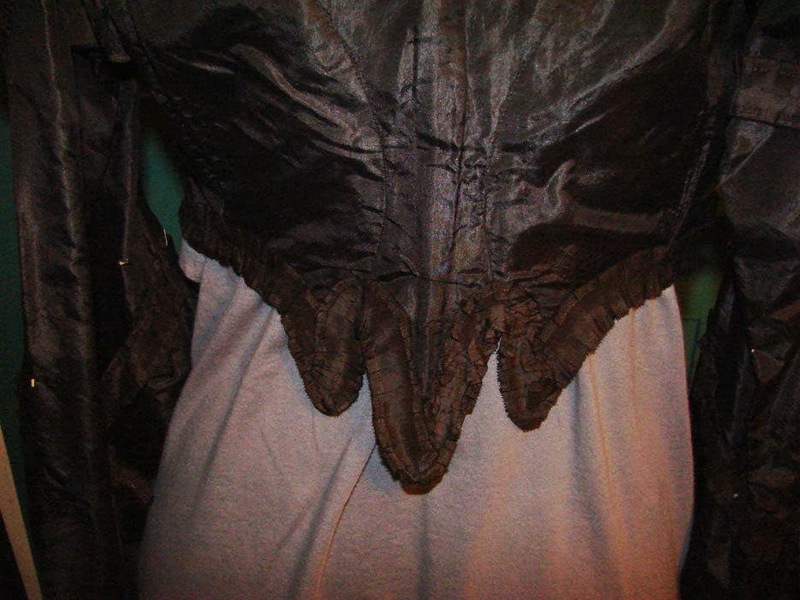 The bodice was also recut but the sleeves look to be mostly left alone. 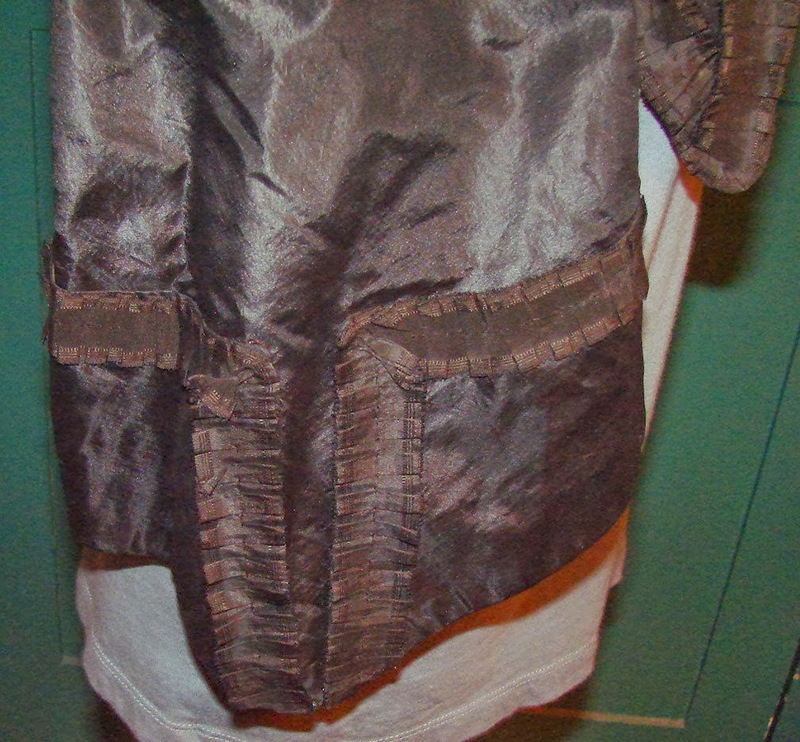 It's probably from towards the end of the American Civil War or just after it - the small "tail" on the back would be to accommodate the elliptical hoop.